Although the Copenhagen Accord did not manage to make climate commitments legally binding, it will probably have far-reaching consequences in the years to come. Beyond emission cuts, de-carbonisation and technology transfers, the overarching significance of Copenhagen lies in the manner in which it exemplifies how the geo-strategic contours of the 21st century have begun shifting. The Copenhagen summit is important for a variety of tangible and intangible reasons including mode and modalities of conduct amongst negotiating parties and their hierarchical positioning in the new world order. The new power contours and their projections are in a state-of-flux. They are not as yet completely defined but are clearly identifiable. In Copenhagen, the metamorphoses of old and new alliances around multiple centres of power, herald the emergence of the new multi-polar world. In the end, the "Copenhagen Accord" was the summit’s main outcome: not the Danish draft but a US-BASIC -- Brazil, South Africa, India, China -- accord that surgically cut most nations out of the final deal-making process. The breakthrough was a political coup for China and India in concluding the Copenhagen Accord with the United States behind closed doors, with Brazil and South Africa allowed in the room, and Europe left outside? History may come to note that the greatest loser of the new geo-political power map that emerged in Copenhagen was Europe. For the developing world, some European nations hypocrisy was embodied in their preaching of climate chaos urgency on the one hand, while on the other attempting to free themselves from the Kyoto Protocol commitments. Europe's Trans-Atlantic ally, the US, sought to conclude its closed-door deal with the BASIC group, leaving Europe still tied to legally binding emission cuts under the Kyoto Protocol, while Washington got its desired non-binding pledge and review system in place for the future. The Europeans agreed to the weak outcome largely because of one breakthrough: for the first time, the US, with BASIC -- Brazil, South Africa, India and China -- nations as well as Indonesia, Mexico, South Korea and Singapore have put on paper, measures to curb emissions. Although the “new” world as revealed by Copenhagen's power shift is clearly multi-polar, the climate summit has also shown that while all poles are equal, some, or more precisely two poles -- the G-2 -- are more equal than all others! In Copenhagen, there may have been the G77 (the loose coalition of developing nations at the United Nations chaired by Sudan), the Umbrella Group (the United States, Canada, Japan, Australia and New Zealand), the AOSIS (Association of Small Island States), the LDCs (Least Developed Countries) and the BASIC (Brazil, South Africa, India and China) group, but over and above all these alliances, there was a G-2 universally acknowledged as holding the trump cards to any significant deal, comprising the US and China. Copenhagen has demonstrated how the line diving the world into North and South, rich and poor, is no longer straightforward or even appropriate. Between these two poles, there is now a distinct core of BASIC countries in the “centre” of the emergent multi-polar world. The nearest thing to a commitment in Copenhagen was the promise by the developed world to pay the developing world $30 billion of "climate aid" over the next three years, rising to $100 billion a year from 2020. Not only is that not legally binding, but there is no agreement whatsoever about which countries it will go to, in which amounts, and on what conditions and under which specific mechanisms. The words “legally binding” were conspicuously removed from earlier drafts of the Accord by delegations that were not yet ready to enter into a legally binding instrument. The Accord is “politically binding” for those countries that choose to sign up to it. A number of delegations publically expressed their approval of it during the final Conference of Parties (COP) plenary session. The Convention Secretariat is setting up a process for governments to associate themselves with the Accord, and the names of their countries will be formally listed alongside the text. But “politically binding” is not the same as “legally binding.” Politically binding means that political consequences will flow from its breach, ie, diplomatic responses, efforts at public shaming, withholding of discretionary funding, etc. In this sense, the Accord can be considered a strong, high level commitment by the countries that have adhered to it and not much more. Significantly, the Conference of Parties (COP) did not “adopt” the Copenhagen Accord at the UNFCCC in Copenhagen or COP-15. The COP “took note” of the Copenhagen Accord. Decisions by the COP require a consensus (if any Party present formally objects to a decision, it can block its adoption). That level of consensus was not possible in this case, and the COP rules don’t enable voting. While the 25 or so countries that were asked by the COP President to participate in a high level meeting of the “friends of the President” eventually accepted the Accord, at least four Parties spoke out against it: Tuvalu, Sudan, Bolivia and Venezuela. In any event, COP decisions —- even those agreed to by all parties —- cannot by themselves legally bind Parties. 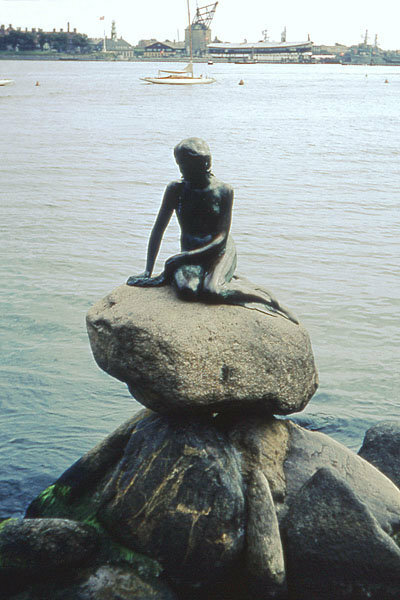 The reasons for the imperfect outcome of Copenhagen are both fundamental and irresolvable. The most important reason being the economic cost of decarbonising the world's economies, which is massive, and of at least the same order of magnitude as any promised benefits. Switching to much more expensive energy may be acceptable to us in the largely western developed world, although there is no present evidence of our willingness to do so. However, in the developing world -- including the fast developing China and India -- there are still hundreds of millions of people suffering from extreme poverty, and from the consequences of such poverty: malnutrition, preventable disease and premature mortality. So for the developing world, the overriding priority is the fastest possible growth rate of economic development. This means having no restrictions to use the most readily available source of energy, ie, carbon energy from native coal reserves and other traditional fuels. The developed countries argument that the developing world should make the economic, social and human sacrifice to benefit future generations, a century hence, is perceived by some nations as all the less compelling given that these future generations will, despite any problems caused by global warming, be many times more well off than the people of the developing world are at present. The Copenhagen accord reaffirms the science that we shouldn't allow the temperature to rise more than two degrees Celsius. However, a leaked United Nations report has found that pledged emission cuts would likely allow far more warming than the two degrees Celsius threshold, beyond which most scientists say global warming could have catastrophic consequences.